When Vermont Governor Phil Scott (Rep.) signed House Bill 511 to legalize recreational cannabis on January 22, he spoke very clearly about users’ right to privacy. “I personally believe that what adults do behind closed doors and on private property is their choice, so long as it does not negatively impact the health and safety of others, especially children,” Gov. Scott wrote in a press release after the signing. But some law enforcement officials are calling for an officious crackdown on the odors wafting under the closed doors of people using or growing cannabis in their own homes. And now with the support of Republican lawmakers in the state, Vermont considers a measure to regulate cannabis smell. Vermont legalized recreational cannabis through a legislative process, making it the only legal-weed state to do so. Rather than a ballot referendum for voters to decide yes or no, lawmakers voted on a bi-partisan bill. The bill Gov. Scott signed into law in late January is both similar and different from cannabis legislation in other states. The law allows adults 21 and over to personally possess an ounce of flower and five grams of concentrate. Adults can also cultivate two mature and four immature plants in their home. And like other legal weed states, Vermont has prohibited the public consumption of cannabis. The law will take effect in July this year. However, the law did not establish any rules for a legal cannabis market in the state. And without a commercial cultivation or retail program in place, legal cannabis in Vermont is virtually an entirely “behind-closed-doors” operation by default. But now, as Vermont considers a measure to regulate cannabis smell, law enforcement is looking to control how people consume weed on their private property. 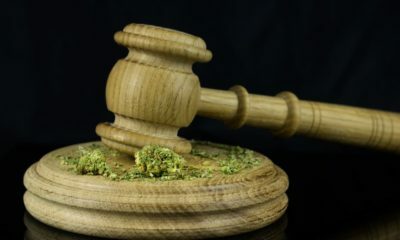 The bill currently under consideration in the Vermont House of Representatives would grant cities the right to classify the odor of cannabis as a “public nuisance”. In Vermont, a public nuisance is a ticketable offense. So if someone in the neighborhood decides they’ve had enough of the smell of cannabis, they would be able to notify authorities, who would have the power to issue a citation. The bill will come to a vote by the House Committee on Government Operations on Friday. The bill has the support of the Republican legislators on Gov. Scott’s cannabis commission. The governor’s commission does not include any caregivers, patients, or cannabis industry representatives. Democratic lawmakers who support legal cannabis, like Dem. Rep. Cindy Weed, think the move is premature. If the Vermont House passes the measure, it will go into effect July 2, 2018, according to the AP. Ostensibly, one of the reasons for legalizing adult cannabis use in Vermont was to free up law enforcement resources to focus on more serious crimes. Yet law enforcement officials are the people behind the push to classify the smell of weed as a public nuisance. “I feel, as a non-marijuana user, that I should not have somebody else’s use impact my life,” South Burlington Police Chief Trevor Whipple told the Burlington Free Press. Whipple spoke in favor of the bill on Thursday at the House Committee on Government Operations. He also acknowledged that his department has never received a complaint about cannabis odor. Vermont has had legal medical cannabis since 2004. Another chief of police, Chief Tim Page of St. Johnsbury, spoke in favor of the bill but acknowledged the importance of respecting the right to use cannabis. “We don’t want it to be so overly restrictive that it denies the person their right of use,” Page said on Thursday. Critics of the move, like director of the Vermont Apartment Owners Association Angela Zaikowski, worry landlords could receive fines for tenants using cannabis. Landlords already have the right to restrict tenants from growing or consuming marijuana under the current law. Concerns over fines may prompt many landlords to more actively restrict their tenants’ cannabis use and cultivation. Nevertheless, with a broad base of support, the bill regulating marijuana smell is likely to pass. But it seems to be the case that lawmakers are trying to solve a problem that doesn’t exist. Or at least, not yet. But it would re-commit law enforcement resources to handling ultra-petty cannabis violations.